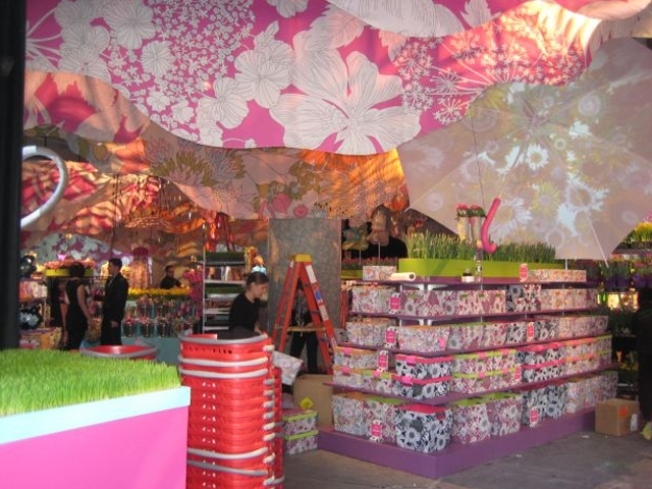 Bryant Parkposted a tantalizing glimpse on Twitter of the colorful, flowery spectacle awaiting shoppers who hit the Liberty for Target pop-up on 42nd Street tomorrow. In a word: spring! Just looking at all that dreamy, color-packed goodness makes us smile -- and frankly, all this good weather couldn't have come at a better time (we're sure Target executives are blissed). We think we might want the umbrellas the most. Or maybe the dresses. Or the bicycle.